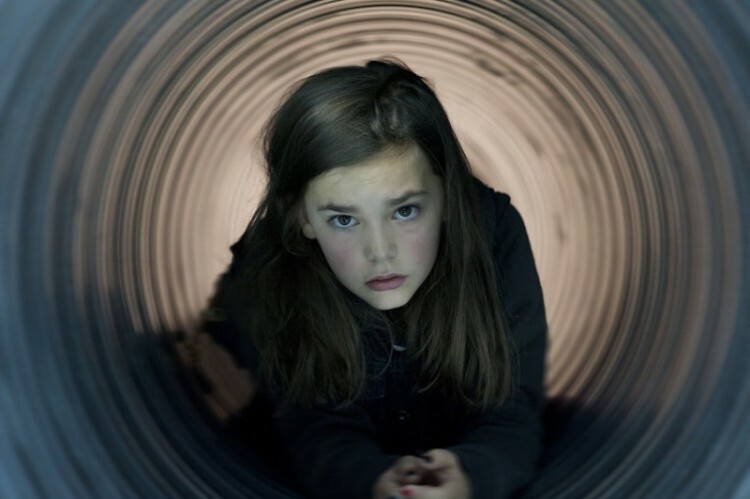 "The Brand New Testament" is screening at UICA January 6 - January 19, 2016. Jaco Van Dormael’s wildly humorous fantasy film, "The Brand New Testament," is witty, clever, and unique. In this dark but strangely uplifting comedy, we follow Ea, the ten-year-old daughter of God, who narrates the story of her father’s boredom and sadistic cruelty. In ‘The Brand New Testament,' God’s idea of amusement is putting humankind through subtle (but annoying) circumstances, like making the phone ring as soon as you step into a relaxing bath or making sure that the toast always lands jam first after it’s dropped. In ‘The Brand New Testament,' God takes delight in dreaming up new "laws" to torment humanity and he's a petty tyrant to his wife and to Ea. Ea has had enough of the horrible misfortunes cast on humanity by her father and takes matters into her own hands. Ea breaks into her father’s office, hacks into his computer, and leaks to the entire world (by text message) the biggest secret of all: their inevitable death date. The world is now in panic and Ea descends her way to earth (through their washing machine) to find six Apostles who can help her write a New Testament. When God discovers Ea has left for Earth, he crawls into his washing machine and sets out to put an end to Ea and her Apostles. Luckily for Ea, her warm-hearted mother gains access to God’s desktop and makes a few changes that help Ea on her journey to rid the world of hatred and misfortune. This film is imaginative and will leave you with feelings of joy as soon as the credits roll. I highly recommend this film to anyone, especially during this cold West Michigan Winter. "The Brand New Testament" is screening in the UICA Movie Theater Jan. 6, 2017 – Jan. 19, 2017. For a list of showtimes, visit uica.org/movies. The UICA Movie Theater shows independent, foreign, and documentary movies in downtown Grand Rapids Tuesday–Sunday year round. Audiences can see critical favorites, festival award winners, and special one-night screenings of classic films in UICA's 195-seat theater, with a state-of-the-art, Dolby© certified movie viewing experience. The Rapidian and UICA have teamed up to bring you film reviews about movies screening in the UICA Movie Theater by Nick Hartman, UICA Film Coordinator.